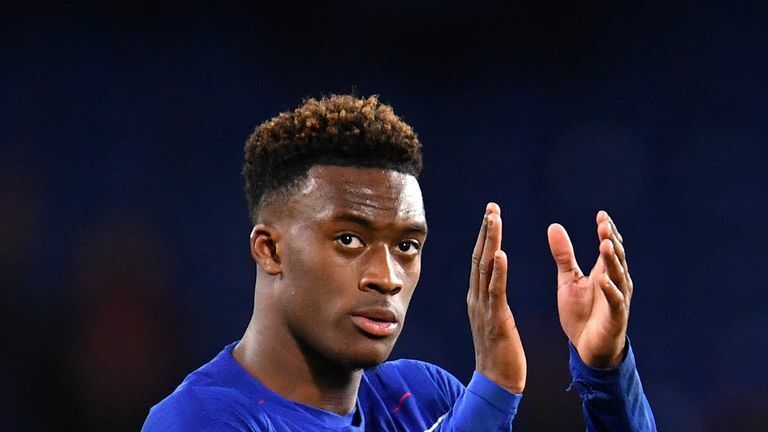 Chelsea winger Callum Hudson-Odoi cannot be dropped after impressing on his full Premier League debut, says Danny Higginbotham. The 18-year-old played a starring role in his side's 3-0 victory over Brighton on Wednesday night, creating the opening goal for Olivier Giroud before almost scoring himself with a close-range header. His first Premier League start follows his maiden international cap for England, and Higginbotham believes the youngster should continue to start for his club after a series of consistent performances. "I don't think he can be taken out of the team," Higginbotham told Sky Sports News. 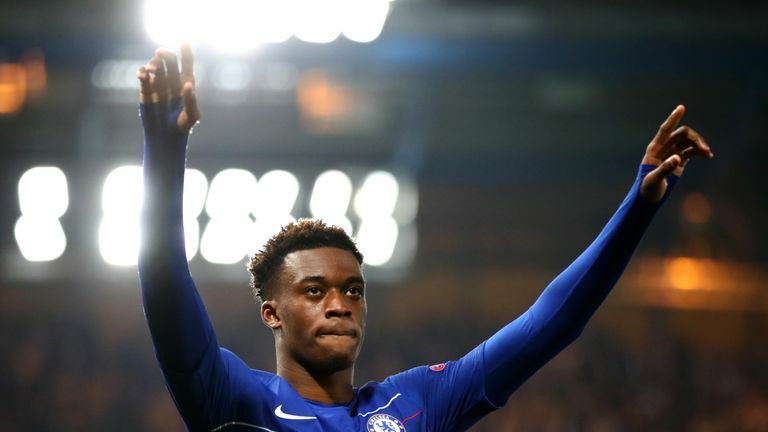 "What I love about Hudson-Odoi is that he stretches the game so much. If you're a full-back, you don't want to leave any space in behind, so naturally you drop, and that means the rest of the back four have to drop as well. "He creates space between the opposition midfield and defence, and that's really difficult for midfielders to deal with. They don't want to drop too deep, and it's difficult for the centre halves because they don't want to push up too high. "It's not only Hudson-Odoi's individuality that's excellent for Chelsea in the way he's so direct, but it's how he actually creates space for other players in the team from the runs he makes." 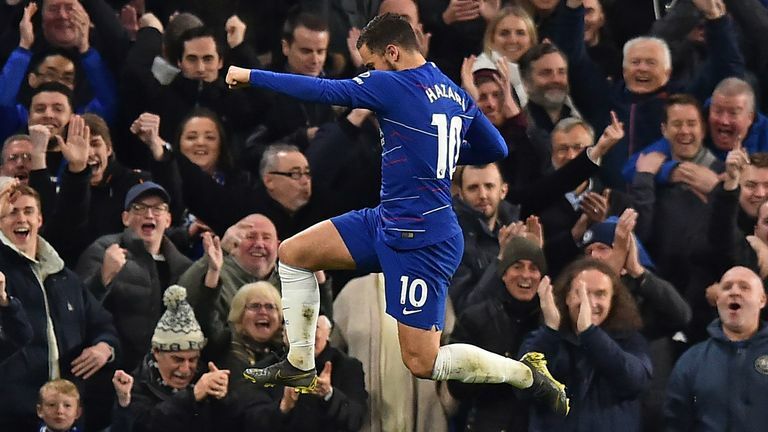 Hudson-Odoi's team-mate Eden Hazard also scored in the win over Brighton, and Higginbotham suggests the teenager's presence on the pitch is benefiting the Belgian. "More often than not, you see Hazard picking the ball up and he's surrounded by players, but against Brighton we saw him playing a little bit deeper, starting to get on the ball and find himself with time and space and that's because of Hudson-Odoi," he added. Hazard or RLC - who did it best? "They don't get in the way of each other. What we've seen at times with Chelsea is that some of the players don't complement each other, sometimes some of the players are making the same runs. "It was Hazard's pass to Hudson-Odoi that created the goal and then we saw Hazard getting involved a little bit deeper. All that is possible because of the simple fact that you've got a player like Hudson-Odoi. He brings out the best in Hazard."